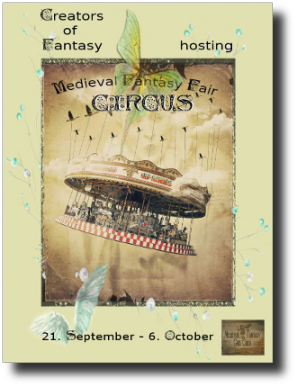 This is a very very late post and today in fact is the last day at the Medieval Fantasy Fair II Circus. But nevertheless, there should not be a reason why Kitty is missing it! The first thing you will realized is that there is a very special way to enter the fair. Yes, via the cannon! And not to mention that you start on a flying ship in midair too! There are lots of nice places to just stop and chill and it is a really beautiful sim. There are lots to buy, lots of $L of damage expected. 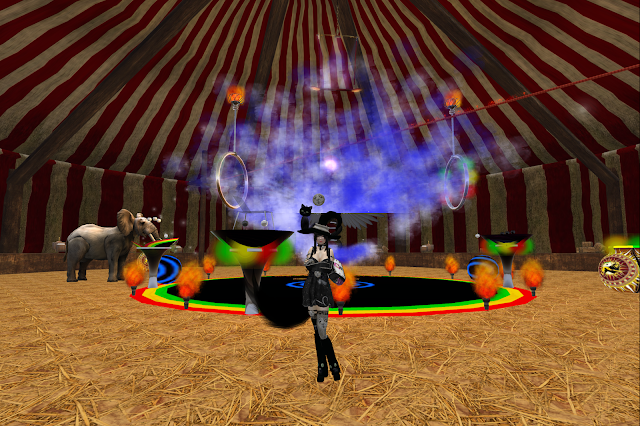 The whole theme is about a circus and all the nice shops are housed in tents. Aren't that cute? 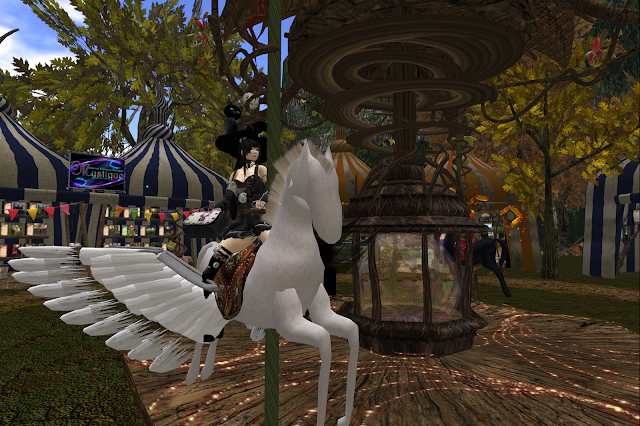 And in every circus, there are lots of strange things and animals to be seen. Kitty is so thrilled to be at the cirus. It must had been a really long time. 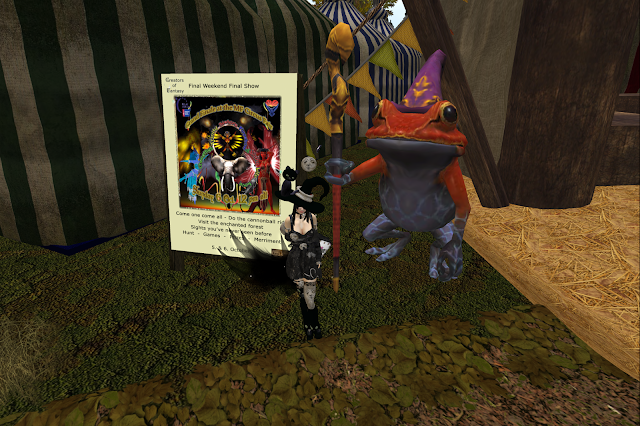 Even the entry to the circus is really unique with a nice wizard frog welcoming everyone in. There are lots of rides and games too and Kitty love this one in particular. Played with mirrors? Why not? While there isn't really a haunted house, this mirror booth is more than enough to kill the curious Kitty. Lots of games and lots of prizes. Grab them while it last! Visit the fair before its gone!